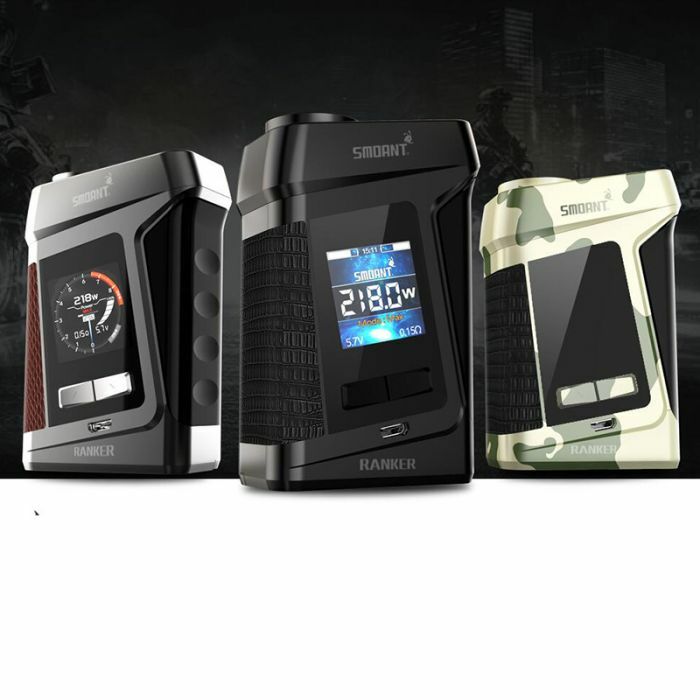 The lastest flagship device: Smoant Ranker is the next revilization of the beloved Smoant Cylon series, which has sumptuous appearance - gun grip handle style, kindly looks like the Smok mag 225W. Integrating a pocket friendly, colorful OLED screen mod with a really easy to use interface as well as the intelligent Ant218 V2 Chipset. Impressive us its the fastest fire speed 0.015s and the beautiful 2 UI options. Powered by dual 18650 batteries(sold separately), accessed via a hinged battery door located at the bottom base of the device, the fires up to a maximum output to 218W. The updated huge HD user interface provides an easy operstion and shows the vaping data clearly. Along with full temperature control suite, power curve outputs, and a suite of safety protections. Smoant Ranker 218 Mod never let you down. 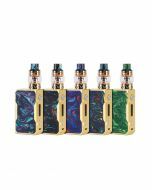 Obviously, the Ranker 218W TC/VW Box Mod is another game changer by Smoant which sports an ergonomic gun grip handle design and highly innovate features. This powerful vaping device supports dual 18650 batteries and is capable of a whopping 218 wattage at its highest output. The Ranker 218W TC Box Mod comes in with a colorful OLED screen that allows for ease of use and a clear display of vaping info. It also sports 2UI options and an incredibly fast fire speed of 0.015s. This vape hardware device will take your vaping experience to a whole new level. It is extremely sleek, extremely efficient and dynamic enough to leave you and the rest of your vaping company in awe. If you loved the other products put out by Smoant, be rest assured that the Ranker 218W Box Mod will be two times better. 218W Max Power & Unique Design: Ranker has a power range from 1-218w utilizing dual 18650 batteries. 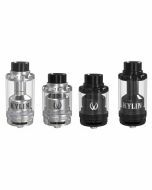 The minimum atomizer resistance allowed is 0.1Ohm in VW mode and 0.05Ohm in TC Mode. Big Fire Button: Ranker with big fire button proving your special and cool using experience every time clicking. Updated Chip: Utilizes the Ant218 V2 chip with a faster response when firing, the Ant218 v2 chip can fire virtually instantly in only 0.015 seconds, the chip is also upgradable. Custom VW/TC Curves: Ranker comes with a Wattage/Temperature curve mode, where you can set the wattage/temperature at intervals for the first 10 seconds bringing you a customized vaping experience. Colorful 1.3 Inch OLED Screen: Ranker features a 1.3inch TFT color screen so that everything is easy to see, two different UI options to choose between. The wallpaper is user customizable in the settings menu. 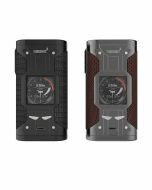 High Quality Leather: The Smoant Ranker uses a high quality leather to give the devices a quality look and feel.